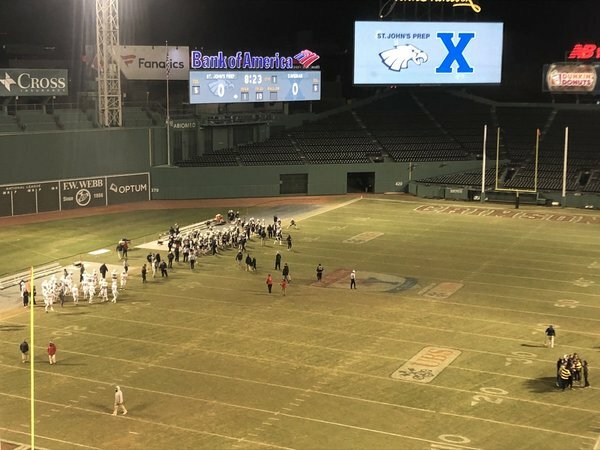 Back at Fenway for a matchup between St John’s Prep (9-1) and Xaverian (7-2). Catholic Conference title is on the line. Here we are, Thanksgiving Football with snow in the air. I’m at Dighton-Rehoboth as the D4 South champion Falcons host rival Seekonk. 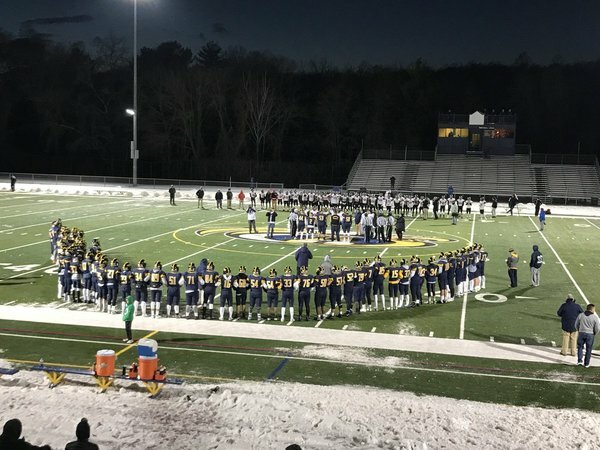 Falcons earned a bye to Gillette and will play Nashoba next Saturday for the D4 Title. Updates for @GlobeSchools .